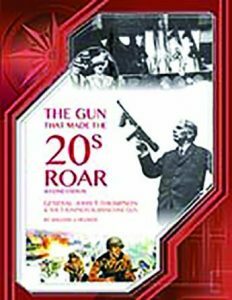 THE GUN THAT MADE THE 20s ROAR, Second Edition, by William J. Helmer. 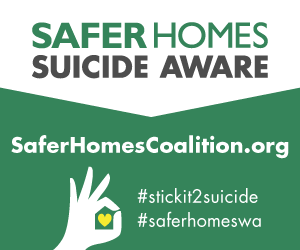 ©2016. Published by Chipotle Publishing, LLC, 631 N. Stephanie St. #282, Dept. TGM, Henderson, NV 89014. Price: $39.95, plus postage. Sub-titled General John T. Thompson & The Thompson Submachine Gun, this 232-page hardbound volume provides insight into one of the most famous, or infamous firearms of all times. It originally began as a master’s thesis by the author in 1964, and was first published in 1969. Three of the men involved in the development and manufacturing of the first Thompsons were still alive, as were a number of other individuals willing to provide information to the author. The end result is probably the finest historical biography available on the subject. Following a brief Preface and Acknowledgments this tome launches into the first of a dozen interesting chapters, beginning with the man himself—Gen. John T. Thompson. In addition to the 12 chapters there is a 30-page Afterword which features such topics as the Thompson M1919, the Thompson & The FBI, “Baby Machine Guns,”-modified M1911 Colt pistols—The BATF, Numrich and Kahr, an 18-page section of color illustrations—advertisements, magazine covers, catalog covers, actual Thompsons, etc.—and an eight-page index. This is literally a history book on the Thompson submachine gun, with dozens of photographs of advertisements, newspaper reports, etc. of the various models. (One illustration shows a ranch owner, complete with sheepskin chaps and ten-gallon hat, shooting his Thompson at cattle rustlers. This reviewer recalls seeing an ad in a magazine years ago showing a rancher shooting coyotes with a Thompson; he did not find it in this volume, or he missed it if it’s featured. The twenties may have roared due to the Thompson, but it was the late twenties, early thirties and forties that saw the widespread use of Gen. Thompson’s brainchild. The general intended his namesake for use by home owners, etc., the police, and the military, but the criminal element soon discovered it was ideal for gang wars, intimidation while robbing banks and other erstwhile activities. The I.R.A. attempted to obtain Thompsons for use in Northern Ireland, and south of the Rio Grande the Mexican bandits wanted Thompsons to enhance their armament. Military use of the Thompson was widespread in World War II, but apparently it took the US Marines to get the ball rolling toward adoption in the late 1920s. When World War Two began the Brits wanted as many Thompsons as they could obtain, and at first they wanted the drum magazines. (Churchill had his picture taken holding a Thompson, with drum magazine and forward pistol grip.) All this information and more is covered in this volume. There have been a number of books and manuals written on the Thompson, but none with the thoroughness of this work. It doesn’t go into great detail on the use of the Thompson in World War II, but it cannot be beat for the early history of this famous firearm. (See American Thunder reviewed in TGM September 2018 for World War II coverage.) It’s one of the best books this reviewer has read on a specific firearm, and is worthy of space on the reference bookshelf of any student of firearms, museum curator, and even firearms designer/inventors. 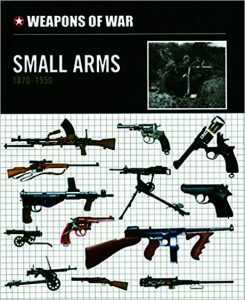 WEAPONS OF WAR: Small Arms 1870-1950. Published by Chartwell Books, Dept. TGM, 142 West 36th Street, 4th Floor, New York, NY 10018. Price: $9.99, plus shipping. Available in most bookstores having a history section. This 176-page hardbound volume is a compilation work by eight different authors, including Chris Chant, Ian Hogg, and Chris McNab. Following an 18-page historical introduction devoted to weapons development from the 19th century through post World War II, this tome is divided into six categories. This volume is elaborately illustrated. The introduction features black and white photographs, with one exception, each with a brief caption and the page number in the book on which more information is available. (The first photo is of what appears to be a commando of Boers of the 1899-1902 period, some armed with M1893 Mauser rifles, although the caption is for the Mauser 98. The M1893 was chambered for the 7mm Mauser cartridge, with the later Model 98 being chambered for the 8mm or 7.92x57mm cartridge.) Most of these photos illustrate the particular arm in use, such as the M1911 pistol carried by the tunnel rat in Vietnam with a flashlight in one hand and the pistol in the other. The bulk of this interesting volume is devoted to individual weapons, with one page devoted to each. A full-color drawing of each weapon is featured along with a paragraph of historical background, and a table of specifications. (The specs include Country of Origin, Calibre (this is a Brit publication), Length, Weight, Barrel, Feed/Magazine Capacity, Operation, Muzzle Velocity, and Effective Range. (The measurements—length, weight, range, etc.–are listed in both English and metric units.) It was interesting to find the effective range of the 11mm (approximately .44-45 caliber) Belgian Chamelot-Delvigne 1874 revolver to be approximately 66 feet, while the .45 ACP cartridge fired in the De Lisle Carbine is listed as 1312 feet. Some of the weapons illustrated are sectional views—such as the Browning M2HB and the German MG-34—to show internal features. These add to the information provided and only make the reader wish more such illustrations had been included. This is an interesting volume with great illustrations, good specifications, and brief historical backgrounds (there may be a few minor errors) for each weapon mentioned. Not every weapon used by every nation involved in the wars during the period 1870-1950 are covered, but to do so would increase the size of the book and the price. The single shot Springfield carbines, such as used by Custer’s 7th Cavalry are missing, so is the 1895 Lee-Navy, the American invented Lewis machine gun of World Wars I and II, and many of the foreign small arms of this period. 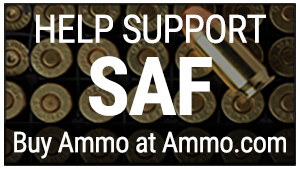 But for less than a sawbuck it’s definitely worth space on any firearms devotee’s reference library bookshelf.